Fraud is very rampant nowadays, especially with the many innovations in technology. There are a lot of fraudsters who will use your credit card information and steal your identity for their own gain. 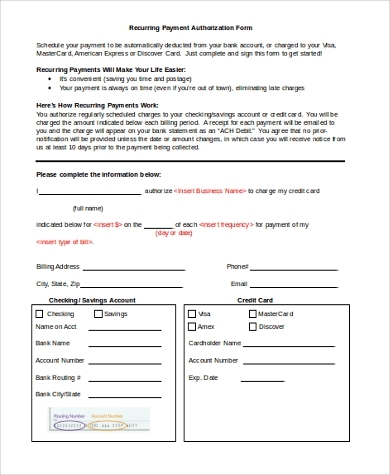 If you are using a credit card, you may see the unfamiliar authorization hold on your account before it becomes an actual charge, but if you have a debit account, you may never know that you are a victim until it is too late. This is why financial institutions are placing security measures to mitigate or prevent instances of these. 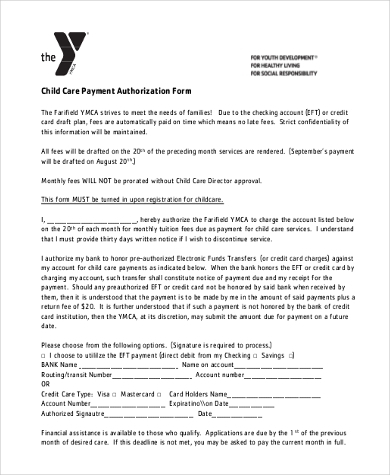 One of which is the use of Payment Authorization Forms. 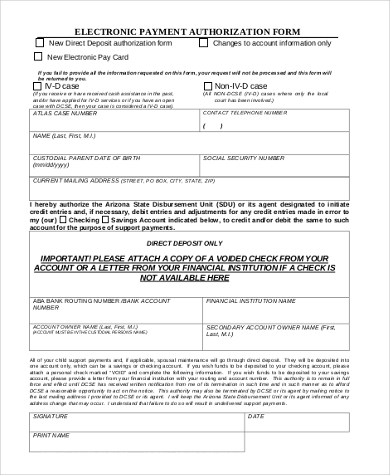 Credit Card Authorization Forms: This is used to obtain authorization for a certain amount to be taken out of your credit card. This can either be a one-time payment or a recurring charge. 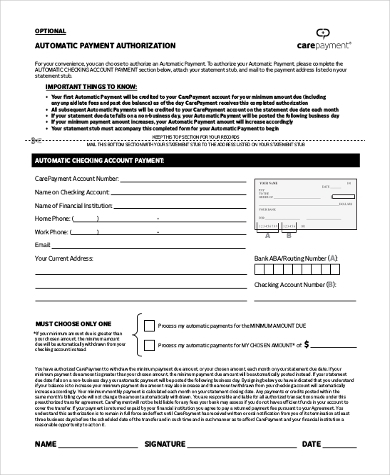 Automatic Payment Authorization Forms: This is for automatic payments. This is more convenient because the amount will automatically be taken out of your account monthly. 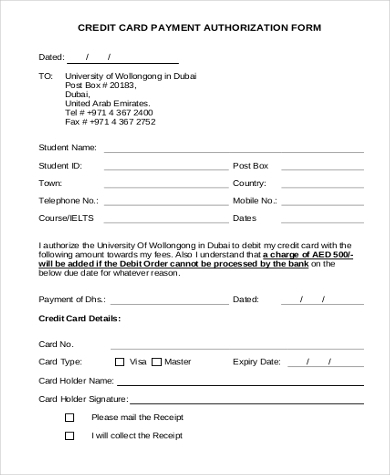 This will also put you at a good credit standing because your payments will always be on time, thus avoiding late fees. Companies will usually not notify before each charge is made, unless there are any changes on the date of collection or the amount. 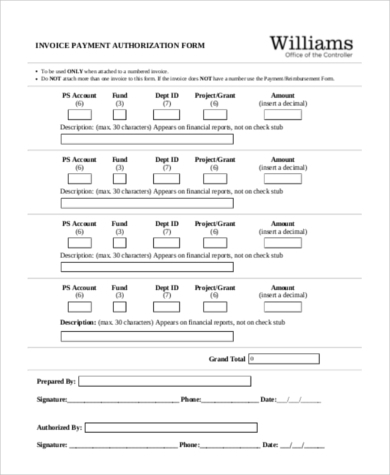 For automatic recurring payments, it is important to know that some companies may require a certain number of business days when requesting to cancel the authorization. This may be a hassle for some because some companies require up to 30 days to act on it, and you would need to closely monitor your account to make sure no errors were made. 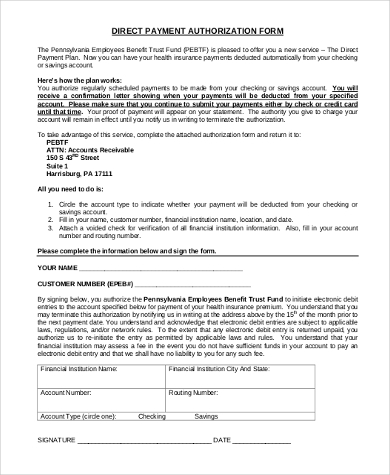 Another drawback is that there will be overdraft charges if there are not enough funds in your account during the collection date. Technology has indeed made our lives easier, but fraud has also become more common. Money provides us with security in our daily lives and is necessary for just about anything that we do, which is why securing our finances and making sure that our financial affairs are in order has become increasingly important. 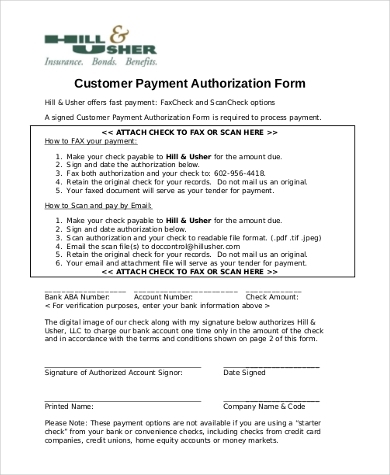 Aside from Payment Authorization Forms, there are authorization forms for just about anything. 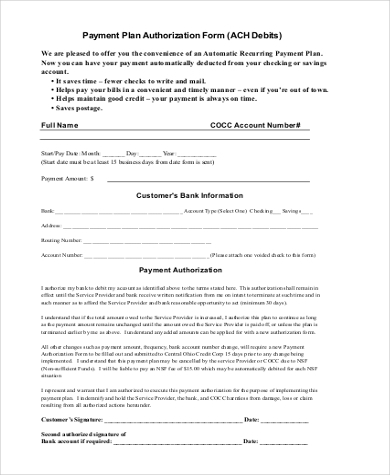 You can check out our Medical Authorization Forms for providing authorization or consent to your service provider or physician to perform medical treatments and procedures, and providing authorization for someone to access your health information.